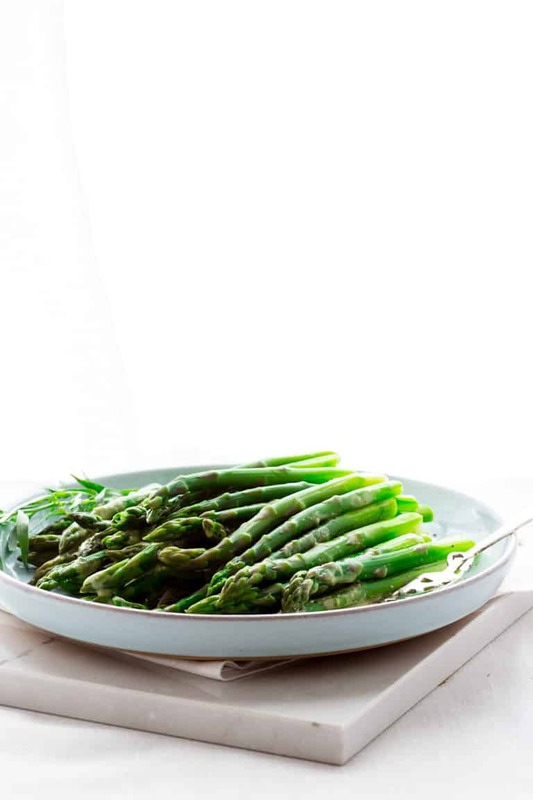 Put this Asparagus with Tarragon Vinaigrette on your Easter brunch menu and you will have more time to spend with your guests and hide those eggs! 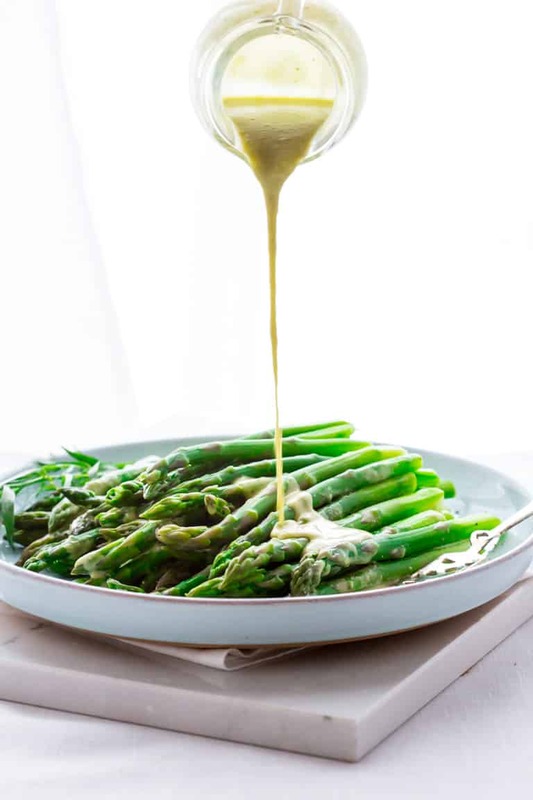 This is the perfect make-ahead Spring side dish that is ready in under 30 minutes and just also happens to be Vegetarian and Paleo friendly! I originally shared this recipe on April 13, 2011. I have updated the images and some of the text today. “Can be made up to one day in advance.” These are magic words to a cook when he or she has company coming. I know when I entertain, I like to hook myself up the day before by prepping what I can. If I’m really organized, I like to plan the menu around dishes that won’t keep me in the kitchen instead of enjoying my guests. For the most part, I can handle one or two hands-on recipes. But the rest have to be pretty much ready to go before people arrive. This Easter we have the whole crew coming over for an egg hunt and Brunch. That’s on top of my duties as the Easter Bunny. So that means I can handle exactly zero hands-on dishes on Easter morning. For the main course I have ordered a maple sugar glazed ham from Harrington’s of Vermont. Not only does it have sweet maple flavor, but it is double cob smoked right here in my little (er) hamlet. They do a booming mail order business if you’re interested. I highly recommend it. I wanted to have a springy selection of side dishes that would compliment the ham and be made the day before. 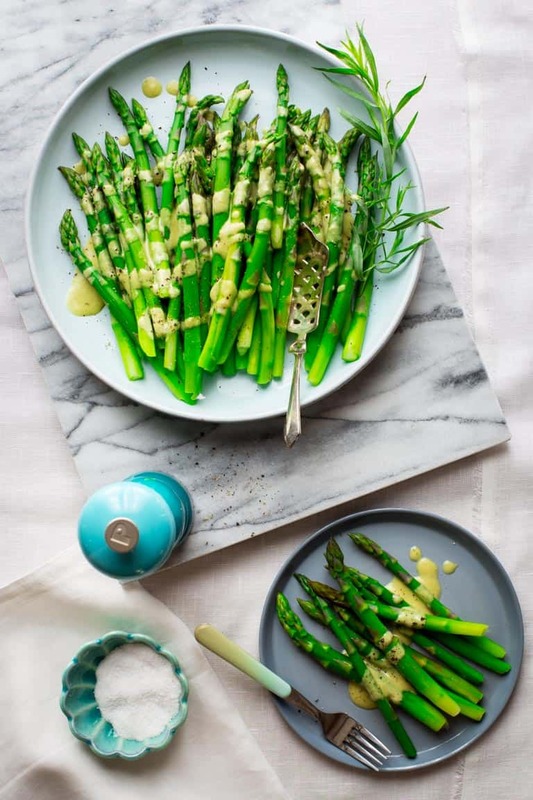 So I decided tha I am going to make this asparagus with tarragon champagne vinaigrette and this creamy horseradish potato salad. 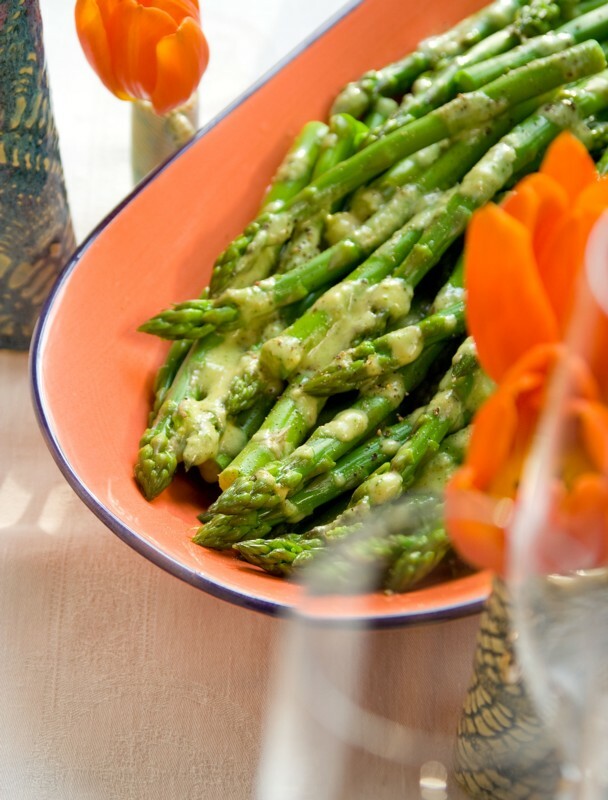 Both the asparagus and the potato salad are served chilled and can be made the day before. 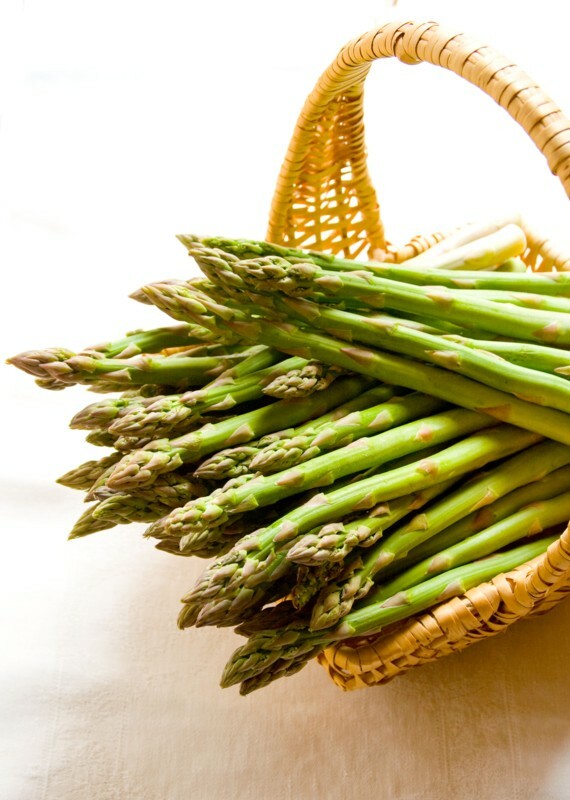 To make the asparagus ahead, just cook and cool the asparagus, cover it and store it in the fridge overnight. 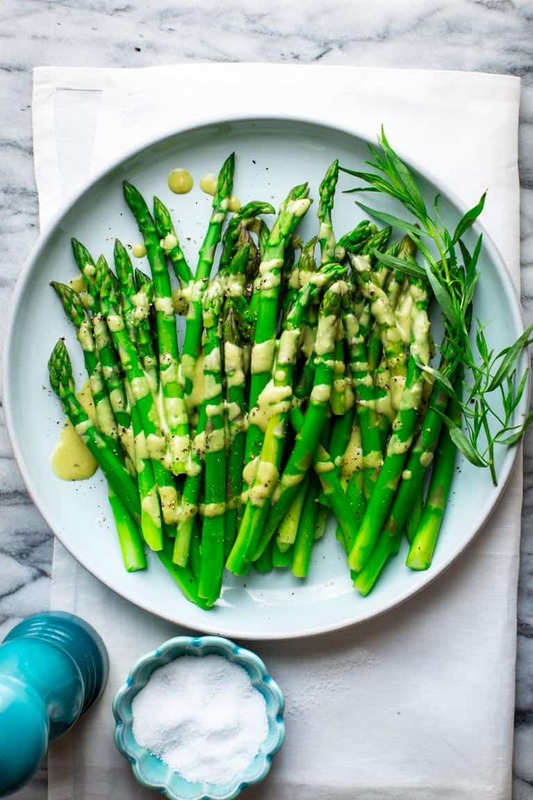 Note, the dressing can be made the day before too, but it needs to be held separately or it turns the asparagus a not-so-lovely shade of army green. Just drizzle it on before serving, sprinkle on a generous amount of black pepper and you’re good to go. To round out Easter Brunch here are some more recipe ideas that can be made ahead. If you are gluten free, you don’t have to miss out on Carrot Cake. This Gluten-free Carrot Cake Recipe looks just about perfect! Thank you thank you thank you!! I’ve been looking all over the web for a fabulous make-ahead green vegetable for Passover (the ultimate in challenging scheduling). I’ve got a month to practice recipes and prep so I’ll be making this for a trial run next week. Yippee! This is a good one for sure Suzanne. I love this dressing on other vegetables and green salad too. I am so glad you found me. Thanks for leaving a comment! Whenever I hear or read the word tarragon my mouth waters, it’s such an underused herb ~ love that pour shot! Thank you Susan. I totally agree! My grandmother used it in chicken salad and it always reminds me of her. Thanks for the recipe~! I just printed it. 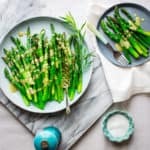 We’ve been having lots of asparagus this spring, and I’m glad to see a new recipe. 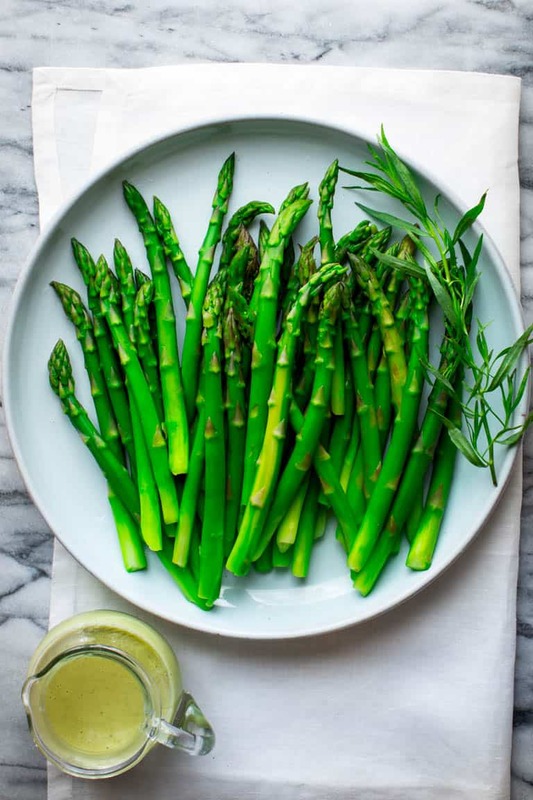 Your tarragon dressing looks like a wonderful change, and a spring herb in my garden. 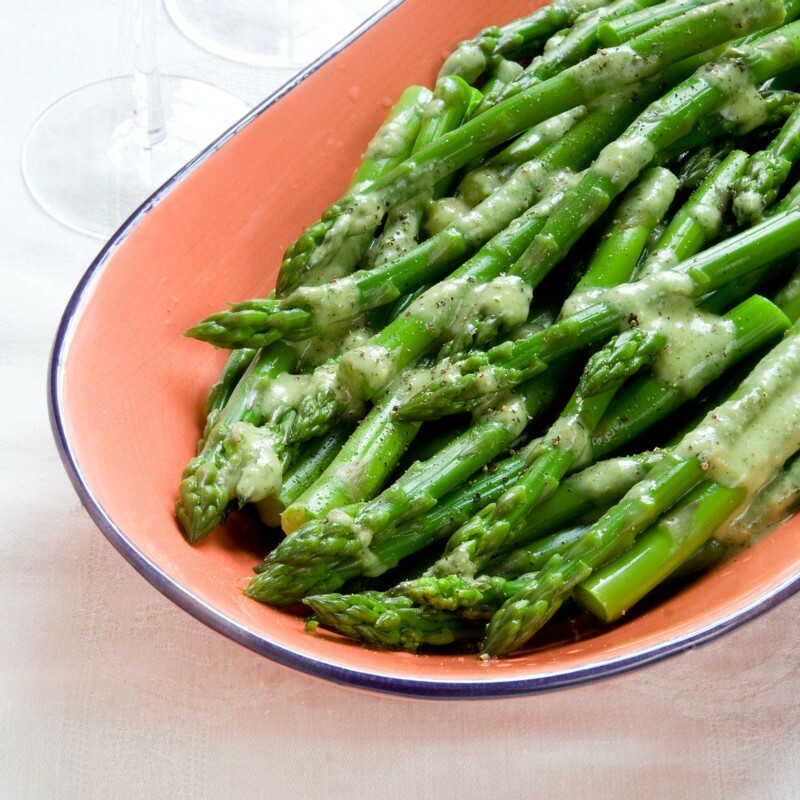 It sounds like a perfect match for the asparagus. This was an excellent recipe. I used my immersion blender for the dressing. I will be making this again soon. My guests loved it!